HCA's Portsmouth Regional Hospital is seeking a BC/BE Emergency Medicine physicians to join their medical staff and serve the residents of New Hampshire's Greater Seacoast Area. 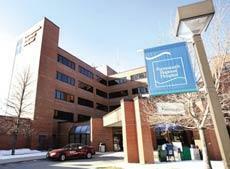 Portsmouth Regional Hospital is a 209-bed facility and home to more than 200 physicians and 1,100 employees. There are specialists and subspecialists available at all times including tertiary level coverage from Cardiovascular Surgery, Neurosurgery and Trauma Surgeons. Our 24/7 Inpatient Hospitalist/Intensivist Program and superior nursing care have earned Portsmouth Regional Hospital top recognition for patient satisfaction. A newly opened neuro/trauma unit has improved ancillary care of patients through specially trained nursing and rehab providers. Portsmouth, NH, a seacoast city, sits near the mouth of the Piscataqua River, which divides the states of New Hampshire and Maine. Portsmouth is at the core of a metropolitan region that includes several small cities and towns. As the nation's third oldest city, Portsmouth is rich in history and abundant with cultural activities. Portsmouth offers small-town charm blended with easy access to a host of outdoor activities and major cities. The area includes top-notch educational institutions-both public and private, along with no sales tax or state income tax. Portsmouth is only an hour away from Boston.